This guided meditation and hypnosis CD or MP3 audio download of quick relaxation techniques shows listeners how to relieve stress fast through two simple, user-friendly, ten-minute methods. Two ten-minute segments of Dr. Miller's expert guidance provide you with the tools for fast stress relief, to quickly relieve tension and help you focus on positive outcomes while maintaining a sense of peace and balance. 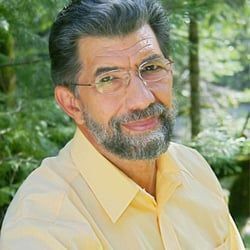 Emmet Miller, MD, a leading guided imagery pioneer and virtuoso practitioner for 30 years, is known for his masterful meditations that inspire a deep receptivity to healing - mind, body, and spirit. His powerful, soothing voice and brilliant, evocative imagery are held to be a gold standard in the mind-body field.